The IRS Large Business and International division (LB&I) has released a Practice Unit Determining an Individual’s Residency for Treaty Purposes to help examiners evaluate whether an individual is a resident of a Contracting State for purposes of a tax treaty. Generally, only residents of a Contracting State may claim tax treaty benefits. A country (a Contracting State) that enters into a bilateral income tax agreement (a treaty or tax treaty) with another country may modify the results that might otherwise occur under the countries' domestic tax laws. 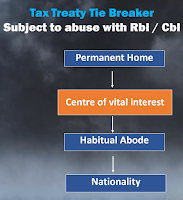 Except in limited circumstances, generally only residents of a Contracting State may claim that the treaty reduces or eliminates the tax that otherwise would be due under a country's domestic law. Whether an individual is a resident of a Contracting State for treaty purposes is a threshold issue in any case in which an individual is claiming treaty benefits. Article 4(1) (Resident) of the 2006 U.S. Model Income Tax Convention (the 2006 U.S. Model Treaty) defines a resident of a Contracting State as a "person who, under the laws of that State, is liable to tax therein by reason of his domicile, residence, citizenship… or any other criterion of a similar nature." The term "person" includes an individual. However, a person is not a resident of a Contracting State for treaty purposes if that person is taxable only on income sourced in that State or on business profits attributable to a permanent establishment within that State. In other words, an individual generally is a resident of a Contracting State for treaty purposes if he or she is subject to tax on worldwide income under that Contracting State's applicable domestic law. Thus, an analysis of residence begins with the domestic law of the Contracting State of which the individual claims to be a resident for treaty purposes. Countries' domestic rules on residency may differ. For example, unlike in the U.S., in many countries an individual will not be treated as a tax resident under domestic law solely because the individual is a citizen of that country. The Practice Unit notes that if an individual is a resident according to only one Contracting State's domestic laws, normally no further analysis is required: that individual will be considered to be a resident of that Contracting State for treaty purposes. They have a substantial presence, permanent home, or habitual abode in the U.S. and are not treated as residents of a third country under a treaty between the other Contracting State and that third country. They have a substantial presence in the U.S. or they would be a resident of the U.S. and not a resident of a third country under the principles of the tie-breaker rules. IRS cautions that the substantial presence requirement in treaties may be different from the substantial presence test in Code Sec. 7701(b)(3), which applies to determine whether an individual is a resident alien under U.S. domestic law. The Practice Unit advises IRS examiners that, after determining that an individual is a resident for U.S. domestic law purposes, they should determine whether the individual is a U.S. resident for treaty purposes based on the text of the treaty before application of the tie-breaker rule (if the resident claims residence in the treaty country). Where an individual is a resident under the domestic laws of both Contracting States, the applicable treaty usually provides tie-breaker rules that apply to assign a single Contracting State of residence for treaty purposes. Step 1. Analyze the U.S. residency claim. Determine whether the individual properly claimed to be a U.S. resident under U.S. domestic law by determining whether the individual is a U.S. citizen or a U.S. resident alien under the LPR, physical presence, or first-year election tests. Step 2. Analyze the treaty country residency claim. Determine whether the individual properly claimed to be a resident of a country that has a treaty with the U.S. under such country's domestic law. 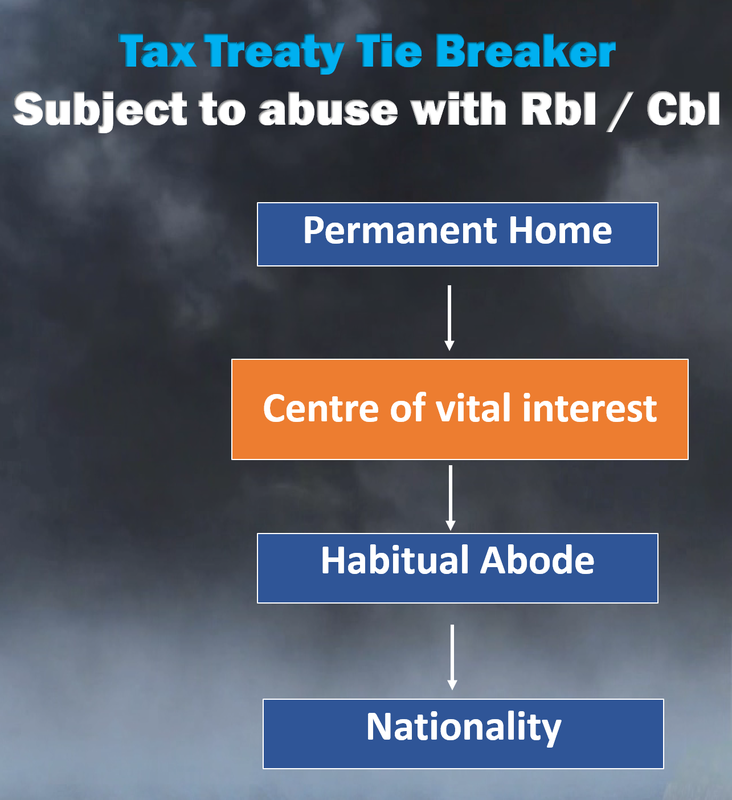 Generally, an individual who is a resident under the domestic tax law of a Contracting State is a resident of that Contracting State for purposes of a tax treaty (before application of applicable tie-breaker provisions within the treaty). 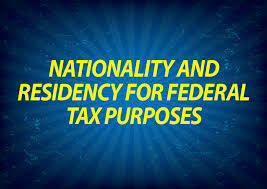 Information on tax returns and immigration documents may provide evidence of an individual's country of residence for foreign domestic tax law purposes. Upon request, IRS will provide certification that an individual is a resident of the U.S. for purposes of the U.S. income tax laws. The individual may use this certificate as evidence of U.S. residence to claim income tax treaty benefits in foreign countries (provided that the treaty does not impose additional requirements). The other Contracting State might be able to provide an individual with a similar certification as evidence that he or she is a resident of the other Contracting State for purposes of its domestic tax laws. An examiner can rely on such a certificate as proof that the individual is a resident of the other Contracting State (before application of the treaty's tie-breaker rules, if applicable), unless there is other information that would lead a reasonably prudent person to doubt the validity of the certificate of residency. Step 3. Apply the treaty's residency tie-breaker rules. 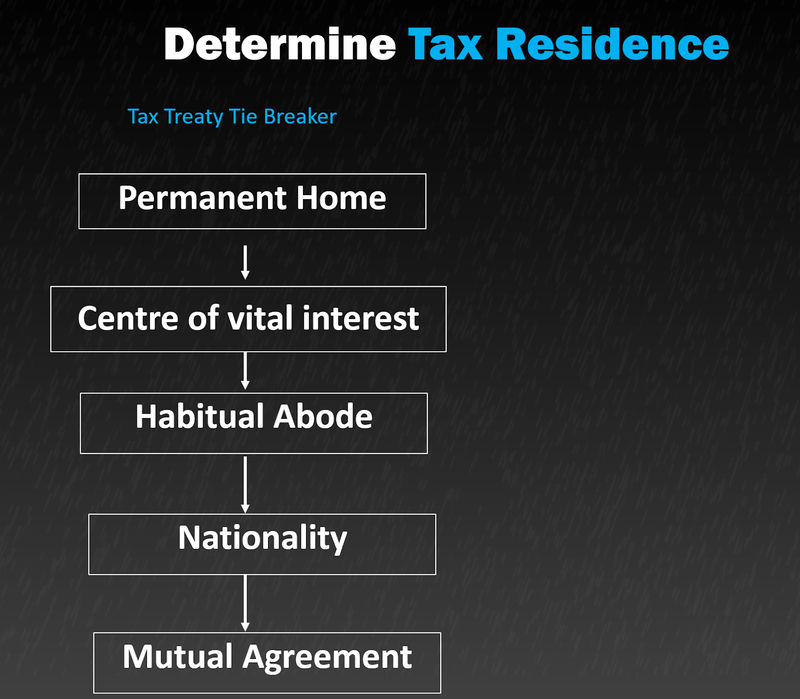 If IRS determines that an individual is a resident of both Contracting States, apply the treaty's residence tie-breaker rules. Where an individual would be a resident of both Contracting States, the treaty's tie-breaker rules apply to determine a single Contracting State of residence for purposes of the treaty. Because these tests are applied in the order in which they appear in the treaty, if a single Contracting State of residence can be determined under the first tie-breaker test, for example, then the examiner does not need to proceed to the next test. If an individual remains a resident of both Contracting States after application of the tiebreaker rules, the competent authorities will try to assign a single Contracting State of residence through mutual agreement. The Practice Unit cautions that every treaty is different. While the Practice Unit uses the Resident article in the 2006 U.S. Model Treaty for purposes of illustrating residency issues, the Residence article in the treaty an examiner is applying might differ. 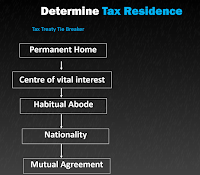 In every case involving a tax treaty, IRS should carefully review the Residence article (and any other applicable articles) in the treaty, as well as any contemporaneous or subsequent Protocol(s), memoranda of understanding, or exchange(s) of notes between the treaty countries to determine whether an individual meets the treaty definition of a resident.